M.P. loves steamy romance novels and leather boots. Long ago she realized that pleasure that is against her will is always hotter and more satisfying. That goes for fantasy and her relationships. 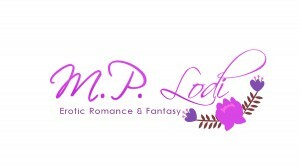 Her books are written for women and men who want an easy way to introduce fantasy exploration into their lives. She hopes that you enjoy reading her books as much as she enjoyed writing them for you. M.P. lives in Miami and is originally from New York City. I wrote stories for Harlequin Romances years ago under my real name. Readers often said they wanted something with even more realism and with sexual situations and fantasies as well. I start with an outline and have scenes in my head. Then it flowers and grows from there. Generally I have the ending written before the rest of the book. My characters are alive in my head and more than a few are modeled after real life people. Of course they are then embellished a bit to make more entertaining. Often characters go off and take me where I didn’t plan on going. I haven’t written long enough to advise others on writing. Stephen King would be someone to take advice from. He wrote On Writing: A Memoir Of The Craft. Every author should check it out. I think we all have our own circumstances. Whatever is best for you might not be what you pick initially. Experiment and try as many avenues as you can. The population of the U.S. is now about 320 million. With this one market alone there is room for any style of writing. There is nothing but growth in the field so as far as I’m concerned the future is very bright for authors and writing in general.